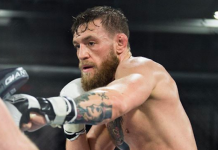 Former two division UFC champion Conor McGregor (21-4 MMA) fell short in his attempt to hand current UFC lightweight champion Khabib Nurmagomedov (27-0 MMA) the first loss of his mixed martial arts career at UFC 229. 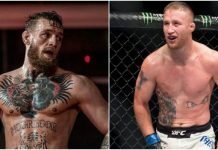 “The Eagle” was able to frustrate the Irish superstar with his wrestling for the majority of the opening three rounds, and even dropped McGregor with a right hand in round two. 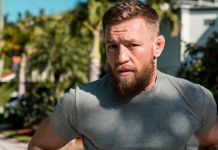 When the horn sounded for the third time, this following fifteen minutes of action, Conor McGregor told the undefeated Russian “it’s only business” (as seen in the above video). In round four, Khabib Nurmagomedov would force Conor McGregor to tapout after locking it a tight neck crank submission. The victory would improve Khabib Nurmagomedov’s career mixed martial arts record to a perfect 27-0. Unfortunately, Khabib’s brilliant performance was overshadowed by the fact that he proceeded to attack Dillon Danis, a teammate of Conor McGregor, just moments after his UFC 229 victory. That bold decision from Nurmagomedov caused brawls to ensue both in and outside of the octagon, which eventually resulted in three men being arrested. 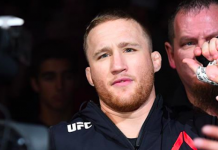 A swift punishment is expected to be handed out on the reigning UFC lightweight champion. Dana White told members of the media earlier today that he thinks Khabib will receive a $250,000 fine and a four-six month suspension. 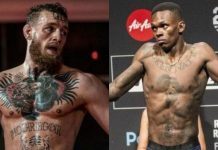 As for Conor McGregor, the former “champ champ” has already stated his intentions of having a rematch with his bitter rival. 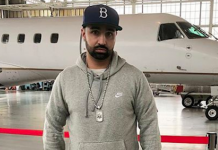 “Mystic Mac” assured his fans and supporters that he “will be back” and is “looking forward” to the rematch with Khabib.